What are some of the body changes a woman goes through during pregnancy? There are many adaptations and changes that the body goes through during pregnancy. There is an increase in weight that the woman is carrying due to the increase in baby weight, increase in fluids in the body and increase in size of the uterus. There is an influx of hormones released into the body that causes a change in ligament and tissue elasticity. All these anatomical and physiological changes will cause many physical adaptations. How does the body adapt to all these changes? With the increase in weight the body needs to carry, there will be a change in the center of gravity changing the way the pregnant woman moves around. The increase in relaxin in the body will cause all the ligaments in the body to become more lax (stretch out). This process is to allow the pelvic floor to open up to allow space for the baby to pass through during child birth. This increase in laxity of the ligaments unfortunately, is not limited to the pelvic area and hips, it will affect all the ligaments of the body. Having ligaments stretch throughout the body causes the muscles around the joints to have to work harder to protect the joints and prevent injuries. What are common injuries or aches and pains suffered by pregnant women? There are many different types of pain that a pregnant woman can suffer from. Some of the most common aches and pains include leg cramping, carpal tunnel syndrome, low back pain, hip pain, sciatica and shoulder pain. A combination of lax ligaments, increase in body weight and changes in center of gravity are the causes of the various aches and pains in the body. How Can an Athletic Therapist Help? Athletic therapists have a vast understanding of the body and the various adaptations a body can go through. The athletic therapist can help to strengthen and stabilize the various joints of the body such as the hips, back, shoulder and wrists through manual therapy end exercise prescription. The manual therapy will help to stretch and relax various muscles and congruently help to activate and strengthen other muscles of the body. Exercise prescription is an important part of the athletic therapy rehabilitation process. Exercises will help to strengthen the muscles, promote a healthy weight gain during the pregnancy and promote joint health. The exercises will also help to strengthen the body for when the baby is born and will help to prevent injuries after child birth. Having stronger shoulders, hips, and back will help the new mother prepare for the long days of holding her baby and carrying heavier weighs around. 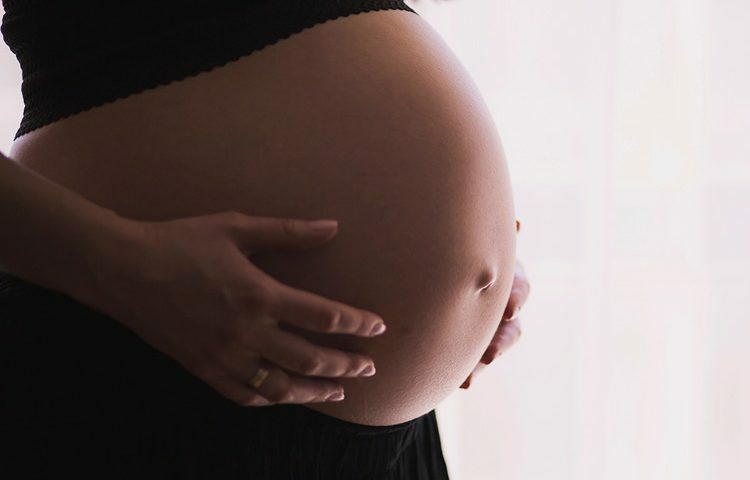 At Clinique Santé & Physique, our athletic therapists are ready to help you strengthen your body and heal from any aches and pains you might be suffering during pregnancy. Contact us for an appointment at 514-586-4441 or book an appointment online.